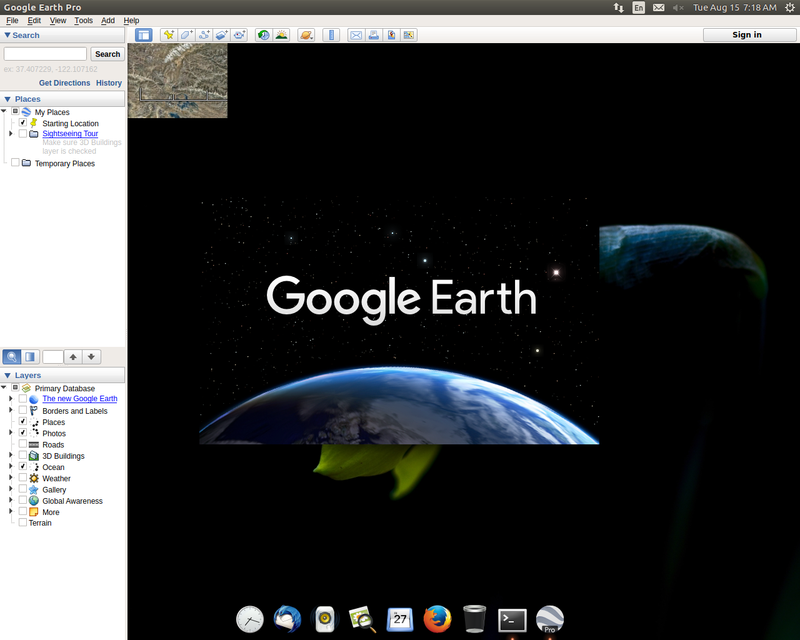 I have installed Google Earth Pro 7.3.0.3830 (64-bit) on my Ubuntu 16.04 LTS. When I launch Google Earth Pro, map is shown in very small window. I have un-installed and re-installed but the problem is as it is. Happened to me too, Its a graphics driver problem. It does not work on X.org nouveau graphics driver. More on it here. So you can uninstall the present version 7.3 and install 7.1 version from here. Not the answer you're looking for? Browse other questions tagged 16.04 amd-graphics google-earth or ask your own question.